On Friday 12th April, children in RG and RM will be taking part in an Easter hat parade around school. Can you please help your child to create their own design (it can be a traditional bonnet or maybe a cap or even a headband)? Here are a few websites for inspiration to look through with your child if you would like to do so. Children will come to school in their school uniform as normal on this day. Please ensure that your child’s Easter hat is labelled as I doubt very much that it will stay on their heads all day! Our caterpillars had transformed into beautiful butterflies over the weekend. The children were very excited (as you can see on tapestry too). The butterflies enjoyed the juice from pears and apples and Mrs Holden also made them some sugary syrup to enjoy. We let the butterflies go out out of their enclosure so that they could continue their amazing life cycle in the wild. The complete lifecycle of the Monarch butterfly from a tiny caterpillar hatching from an egg, through metamorphosis, to glorious adult butterfly. Filmed with microscopic cameras and time-lapse photography. Produced for the Chicago Nature Museum. If you enjoy this, please don't forget to like and share! Thank you. Our caterpillars have all made their cocoons! This week we have been thinking about Mothers Day. We have been making lots of lovely things including Jam tarts. Here's the recipe for you to use at home. Look how big our caterpillars have grown! Our new sound this week is 'er'. Jolly Phonics sound er: SING, LEARN and ENJOY! 🎤 🤓😃 Jolly Phonics is a comprehensive programme, based on the proven, fun and muliti-sensory synthetic phonics method that gets children reading and writing from an early age. This means that we teach letter sounds as opposed to the alphabet. This week we have used the story 'The Hungry Caterpillar' by Eric Carle. We learnt all about the life cycle of a butterfly and even had our own caterpillars delivered! Our new sounds this week are 'air' and 'ure'. Phase 3 Phonics | Jolly Phonics Songs in Order | Real-Life Jolly Phonics Songs in Order | ear, air, ure This is my cover version of the Jolly Phonics Songs in order. The Jolly Phonics songs are in order according to Phase 3 of the Letters and Sounds phonics program and features the ear, air and ure phonemes and graphemes. Jolly Phonics sound oi: SING, LEARN and ENJOY! 🎤 🤓😃 Jolly Phonics is a comprehensive programme, based on the proven, fun and muliti-sensory synthetic phonics method that gets children reading and writing from an early age. This means that we teach letter sounds as opposed to the alphabet. Children will love Mr Wolf's Pancakes!! Enjoy!!! Buy the book! (Amazon best price): https://amzn.to/2pDPZLI Join Mr Wolf in the kitchen as he gets into lots of trouble making pancakes in this funny, illustrated picture book from Jan Fearnley, perfect for pancake day or as a bedtime story all year round. This week we have celebrated Pancake day by making our own pancakes! We mixed the ingredients together to make the batter and then added our favourite toppings. Here are some of our yummy pancakes! Our new diagraphs this week are 'ur' and 'ow'. This week we have been using the story Supertato! We have made our own Supertato, jelly and did some vegetable printing! We have been learning about Chinese New Year. 2019 is the year of the pig. We have been making our own Chinese fan, lantern and dragon! We have been enjoying this story and will be continuing to use this book in our work this week. We will be tasting fruits such as pineapple, melon, blueberries and grapefruit to see which is the most and least popular flavour. Jolly Phonics sound ar: SING, LEARN and ENJOY! 🎤 🤓😃 Jolly Phonics is a comprehensive programme, based on the proven, fun and muliti-sensory synthetic phonics method that gets children reading and writing from an early age. This means that we teach letter sounds as opposed to the alphabet. Jolly Phonics sound oo: SING, LEARN and ENJOY! 🎤 🤓😃 Jolly Phonics is a comprehensive programme, based on the proven, fun and muliti-sensory synthetic phonics method that gets children reading and writing from an early age. This means that we teach letter sounds as opposed to the alphabet. We have been making our very own pizzas just like The Little Red Hen. We picked the toppings to go on our pizza and then when they were cooked we tasted them. We were able to discover which foods we didn't like or which we really enjoyed! 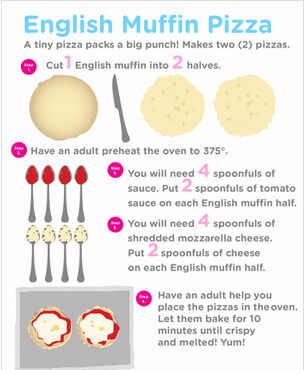 Maybe you could try making your own and add different toppings! Jolly Phonics sound oa: SING, LEARN and ENJOY! 🎤 🤓😃 Jolly Phonics is a comprehensive programme, based on the proven, fun and muliti-sensory synthetic phonics method that gets children reading and writing from an early age. This means that we teach letter sounds as opposed to the alphabet. The Story of Hansel and Gretel told in a musical way, Thomas Muis is a young beginning dutch composer, with a passion in music that exceeds many others. While working on many other small projects, his dream is to compose music for big film productions in Hollywood. We used this music in our dance session to think about how Hansel and Gretel's feelings changed throughout the story. How could we move our bodies to respond to the music and how it changes? We have been thinking about ways to look after our teeth. We know that we need to brush our teeth twice a day for two minutes and eat a range of healthy food. Some foods are kind to our teeth but food with lots of sugar can be unkind to our teeth. It's a song about brushing your teeth. This song was written and performed by A.J. Jenkins Video by KidsTV123 Copyright 2012 A.J. Jenkins/KidsTV123: All rights reserved. This is an ORIGINAL song written in 2012 - any copying is illegal. We will be using stories with a ‘food’ theme this term to deliver the Early Years curriculum. Our newsletter, coming out this Friday, will tell you more about the stories we will be sharing this term. Have a look at our 'Animated Fairy Tale' playlist https://www.youtube.com/playlist?list=PL5hbpwc66yGGyhrMvMWYgBB-3GiVh6YEk Watch amazing Animated Fairy Tales including The Three Little Pigs, Little Red Riding Hood, Sleeping Beauty, Rapunzel, The Gingerbread Man and many more. Oxbridge Baby is excited to introduce this fantastic new animated version of the classic fairy tale 'The Gingerbread Man'. The Gruffalo by Julia Donaldson Explore this website with your child to find songs, activities and clips. PLEASE help your child to learn their words OFF BY HEART as soon as possible. This will help us to practise our play! Please supply your child with their costume for this Christmas production by Monday 3rd December. Just a reminder that your child can come to school wearing spotty clothes on Friday 16th November in support of Children in Need. All children have been given their own sticker chart, which will be kept in school. Children will collect a silver or gold sticker each time they move up the zone board. When your child has 5 silver or 5 gold stickers then they will receive a certificate to say well done. Certificates will then be given out for earning 10, 15, 20 stickers etc. Sticker charts will then be sent home at the end of each half term for children to keep at home. We are now also awarding a ‘listener of the lesson’. Look out for your child receiving this award on tapestry for super looking, listening and thinking. Bonfire night is nearly here! Whilst many of you will be attending a Bonfire night display or having fireworks at home, it is important that we remember to stay safe! Here's Fireman Sam reminding us of some safety tips for Bonfire night. We have been learning about autumn and, today, we went looking for signs of autumn in our school environment. Ask your child to tell you all about autumn and to spot these signs when they're out and about! Thank you so much for the sponsor money which children have returned from their autumn scavenger hunt. We have raised over £300 and this will go a long way towards buying new resources for our reception classes. If you still have money to collect or bring in, anytime this week would be great. These are some of the ‘jobs’ which children will be encouraged to do over the upcoming week. We are continuing our work on 2D shape and continuing to count carefully, matching objects to numerals and find missing numbers in a sequence. Children are really starting to use their phonic knowledge now to have a go at writing words and matching sounds to letters. We are encouraging children to attempt to write simple sentences ‘I can...’ using their phonics to segment the sounds they hear in words and to write these sounds down in the right order to spell simple words. How wonderful that children are spotting ‘tricky’ words in books and around them. Children are learning to spell these words using magnetic letters this week. We are making real and nonsense words using the sound dice. Your child can also do this using the sounds in their word tin. We hope children are enjoying getting out and about finding conkers, chestnuts, sticks and pine cones! We will be extremely grateful of any amount of sponsors... however small or generous. 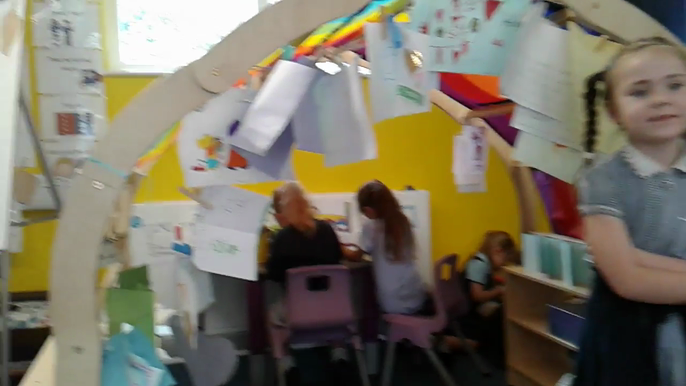 All amounts raised will go directly into funding activities in reception class and purchasing small world play and resources for your child to use to broaden their learning experiences. Days of the week song Children have been learning the days of the week though this song. Here’s a look at a few of the activities which will be in our math’s area next week. Children will be encouraged to recognise numerals and count objects accurately. We will be continuing our work on pattern. After lots of input from both school and home, we will be talking about 3D shapes using language such as ‘face’, ‘edges’ and ‘flat’ and ‘curved’. 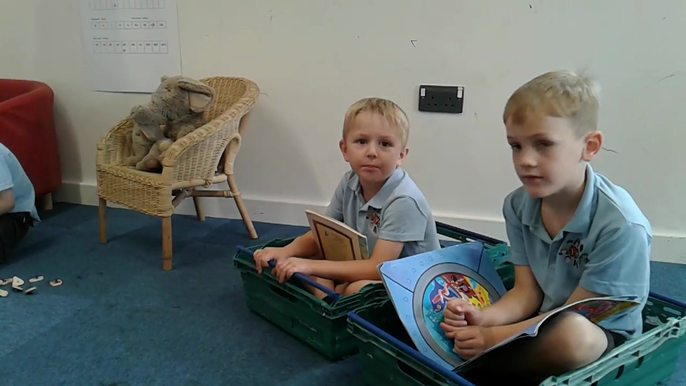 Children have been enjoying learning new sounds and words. It’s wonderful when they start to see that they can read! In our reading area, we will be encouraging children to sort objects into sets of ‘g’, ‘o’, ‘c/k’ and practise linking sounds to letters. Some children have started to find ‘tricky’ words in books so stay on the look out for ‘the’, ‘to’, ‘go’, ‘no’, ‘I’ and ‘of’! We will be practising our skills of blending sounds to say and read words. Keep practising this at home with your child! 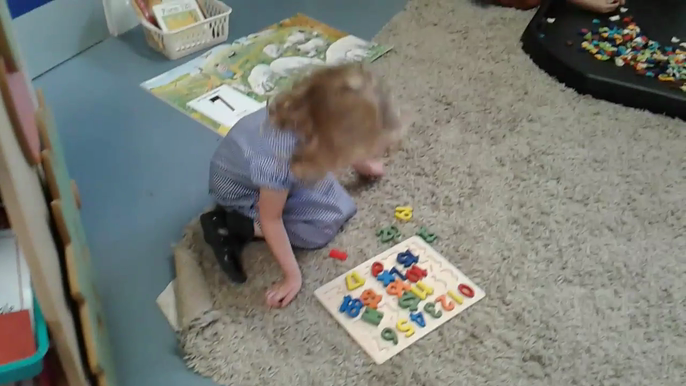 Letter formation is continually being practised and children are showing progress with this. They can practise forming letters in the writing area, using whiteboards, clipboards and when writing their names. Please comment in your child’s reading record each time your child reads at home. A few minutes a day practising sounds and words in the word tin and reading a couple of pages of the book (if your child has a reading book) would be ideal. Reading records need to be in bookbags EVERY DAY. Children will come home with a homework folder tomorrow. We would be grateful of your support at home as the homework reinforces the hard work which your child has done at school that week. Homework folders and word tins must be in your child's bookbag every Friday for new homework to be put in. You do not need to send any previous homework back. Thank you for your ongoing support. Please see Miss Mills or Mrs Gregory if you have any worries or questions about the homework. Children have been asked to find out the ages of their family members. Who is the oldest / youngest in the house? We are encouraging children to learn about numbers by thinking about ages and how old people will be on their next birthday. Find these ages on a number square to aid number recognition and place value. Uploaded by Chrissy Durham on 2017-01-26. Uploaded by Sandy Macdonald on 2016-03-16. We will learn to read and spell these words during our time in reception. Oxford Owl For Home Oxford Owl is packed with expert advice, top tips and activity ideas so you can help your child with reading and maths. Please send in (or upload to tapestry) a family photograph. It would be great if you could do this by Monday 10th September. Autumn 1 Newsletter - This will also be sent home with your child today. Well done to ALL of the children today for coming into school so well and having a great day! Well done to all of the mums, dads and family members for helping the staff to settle the children so quickly onto the carpets ready to start their day in reception class. We’re getting ready for September! 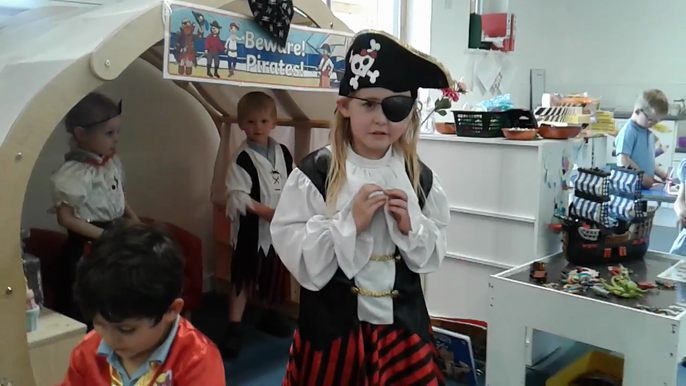 Role Play Area - Happy Birthday!